NTRUHS is abbreviated as NTRUHS Post Graduate Medical Entrance Test. Thus the PGMET is the post graduate medical entrance test for the seekers who are all willing to be a part of PG medical courses. Thus the Dr. NTR University is conducting the entrance examination for the aspirants. It is the examination where the type of PG entrance examination. Thus the category is state level. As per the recent report, the candidates must fill the application form and submit on or before the last date of a submission date. It is the entrance examination that anybody can apply for the examination and join the medical course under this Dr.NTR University. The candidates who are all interested in applying for the entrance examination in this university can apply online. But one should be very much aware of the things to follow before applying for the examination. Here the university is allotted the eligibility criteria for the candidates that who want to join the PG medical course. There are some of the important instructions that you have to follow before applying for the entrance examination. First of all, the applicants must be an Indian citizen to apply for the examination. Thus the candidates should have completed their MBBS degree from the recognized university. Applicants must have a minimum age of 23 to apply for the entrance examination. These are the important instructions that you want to follow before applying for the examination. The candidates who are all interested in writing the PG course entrance examination in Dr.NTR University. 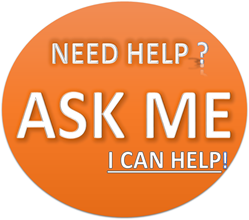 There are some of the steps that people need to follow for applying the online application. The candidates who are all struggling to follow the steps for applying can note here. Thus the online application has been started to apply from December to January 2018. The candidates need to follow the official website www.ntruhs.ap.nic.in for the online application form for NTRUHS PGMET Exam 2018. Now the candidates need to fill the online application with official personal details. Once the application form is filled, you need to pay according to the category. The fees need to pay for General category Rs.3000 and for reserved category need to pay Rs.2700. The applicants can also pay the fees via online also. The syllabus for the entrance examination for the candidates will be asked from the MBBS graduate syllabus. 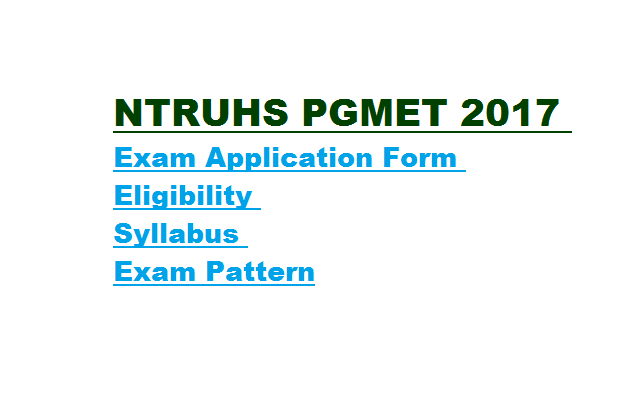 The people who are all seeking for a long time to know the NTRUHS PGMET syllabus can follow the website www.ntruhs.ap.nic.in. Here you can all the information regarding the syllabus. Then the main process is examination pattern. People who are all very much aware of the things will happen during the examination. For the information there are totally 200 questions will be asked in the NTRUHS PGMET entrance examination 2018. The questions are mainly available with four different options. Also, you must know that no wrong answer will have any negative marks. Overall the examination duration will be 3 hours.